Today, a thesis is more or less the benchmark against which the mettle of a person is tested against in higher studies. Technically, the thesis is a claim or argument that is substantiated with facts and research. It has long been the tradition among scholars to write their own thesis in order to prove their intellectual prowess among peers; but in the past few decades, the thesis has become a part of the curriculum. The lack of organization can ruin even the greatest of things. Many people disregard the order when writing a good thesis. They believe that only what goes in the submission counts. Well, they are wrong. Every note you made during the research for your thesis is a valuable point. Keeping these points as a deck of sorted cards makes it easy for you to reference them later. Also, your thesis in itself must be structured well enough, with the points in a relevant order so that people do not find any difficulty in understanding the flow of your research. Most students get over enthusiastic while writing their thesis, wanting to make it their best work ever. While trying to give it your best is good, trying to make it your magnum opus is not worth the effort. You will surely write many better works in your career. Also, the people you want to impress (that is, apart from your professors) will likely never read it. It is the work that sprung from your thesis that would matter from them. So it is better to look at your thesis as a project, not an ultimate goal of life. First, you could fall into the trap of selecting the most generic subjects, just because they are in the trend or sound good. For example, writing a thesis about the survival of humanity may appear to be a very interesting topic, but it has no relevance because a lot of people have already worked upon it. Second, you could be lured into selecting a topic that is unanswered and might continue to remain so. For example, a thesis on the origin of universe sure might promise to unfold some new mysteries, but the question is unanswered by even those with the most sophisticated machines; so most likely, your thesis will not have any solid conclusion of your own. So you must be careful about the exact relevance of your topic of the thesis. Making a thesis statement should make some claims that are yet to be tested, but not something that cannot be answered by anyone. Most students lose their path while writing a thesis because there is no one to guide them. Hence, it is quite reasonable to have someone who could provide apt guidance to you. The person could be anyone outside your college faculty, and the correspondence could be real or virtual. Regular feedback ensures that you know at all times whether you are on the right path or not. That said, it is also important to strictly adhere to “guidance only.” Your queries must resemble “What is your opinion on…?” and not “Can you solve this for me?”. This is, after all, YOUR thesis, so you must be the one to do the actual work in it. As the world is going digital, it is only right that you should too. 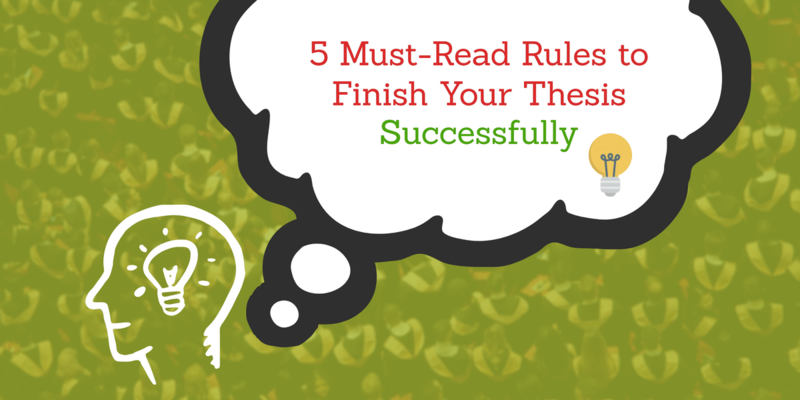 Getting the right applications can make the whole process of thesis writing way too easier for you. The tools could range from project management apps to research applications. The simplest way is to ask yourself about the things you would do while writing a thesis, and then go about looking for applications that could do the task for you. For example, if you want to stick to the deadline and list out the tasks to be done, go for project management apps like Trello. If you want to correspond with people about your thesis, opt for Facebook Messenger or Skype. If you want to research on your subject, go to Google Scholar or Open Access Journals. If you want to paraphrase your content, go for any online recorder. The list is endless, but the objective is same: making your life easier.